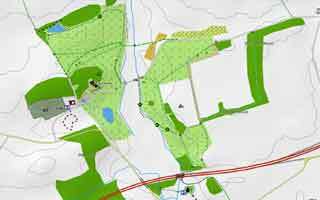 Escot Park is a hidden gem for walkers and those who love open spaces dotted with large trees - you can park free of charge . 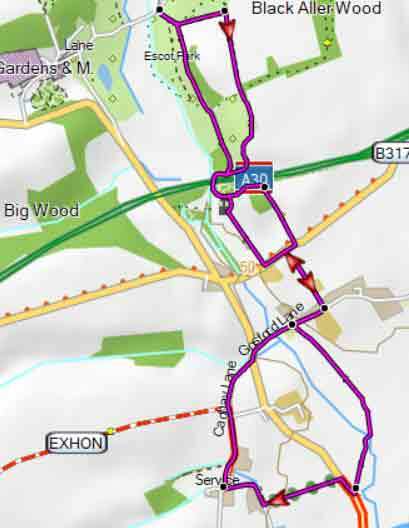 There is a restaurant,the Coach House,and toilet facilities are available near the car park. It makes an ideal centre for various walking opportunities. 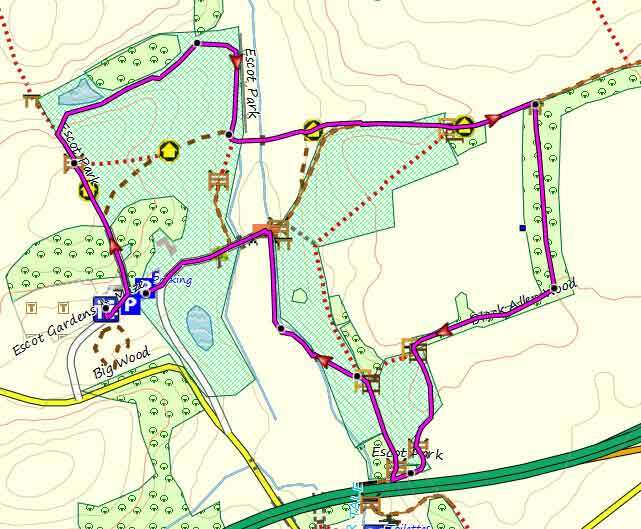 An ideal walk if you prefer a short ramble. 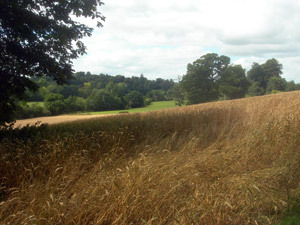 A short but very pleasant ,unspoilt and peaceful walk through the Escot Estate near Feniton.
' He took to fishing the Brawl [Tale],which runs through the Park,and passes not very far from the garden-wall. And by the oddest coincidence,Miss Amory would walk out and would be quite surprised to see Mr. Pendennis fishing. 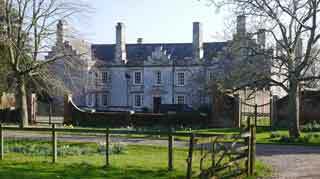 A fairly easy country walk with well maintained tracks and paths takes you via the delightful hamlet of Larkbeare to the spectacular grounds of Escot. An easy walk to the picturesque village of Feniton Court - no pub,but a PO and a delightful church. It returns via a wood where deer have been seen. A pleasant walk running through the Knightsone estate - one of the best preserved medieval houses in Britain - and returning via East Hill forest. The 19th century author of Vanity Fair,William Thackeray,grew up in Larkbeare. 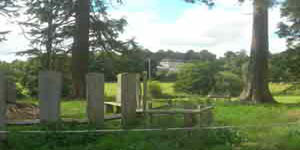 From here he explored the grounds of Escot Park which years later ,in his novel History of Pendennis,becomes 'Clavering Park'. This enjoyable walk starts at Escot Park and leads via Larkbeare to Cadhay House ,a Tudor mansion open to the public on certain Fridays. At 'Birdcage' it follows a long ancient footpath with glorious views of Hembury Fort and the Sidmouth Gap. See map. Note :Part of the walk can be quite wet after heavy rainfall. There is a mile long stretch along a country lane near Larkbeare which can be quite busy. 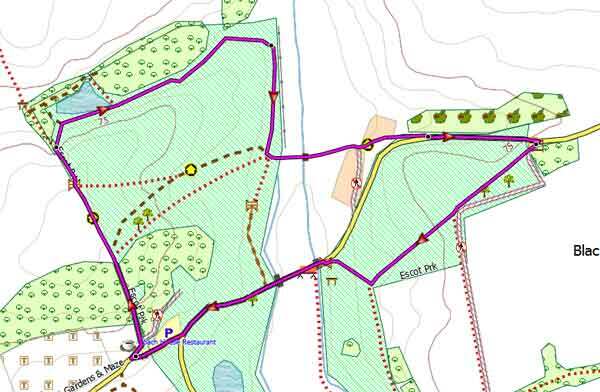 Check out this walk :Escot to Talaton.